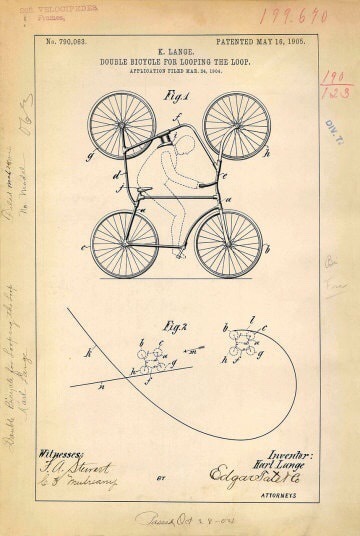 Between getting stuck down YouTube holes and Googling any random thought that pops in my head, I found myself the other day browsing pictures of Leonardo Davinci’s notebooks which led me down a vortex of browsing patent sketches from long ago. 1. Person gets a grand idea. 2. Person writes or illustrates said idea but in a way to not entirely give away the idea but just enough to prove that you indeed conceived the idea. 3. The patent is created. 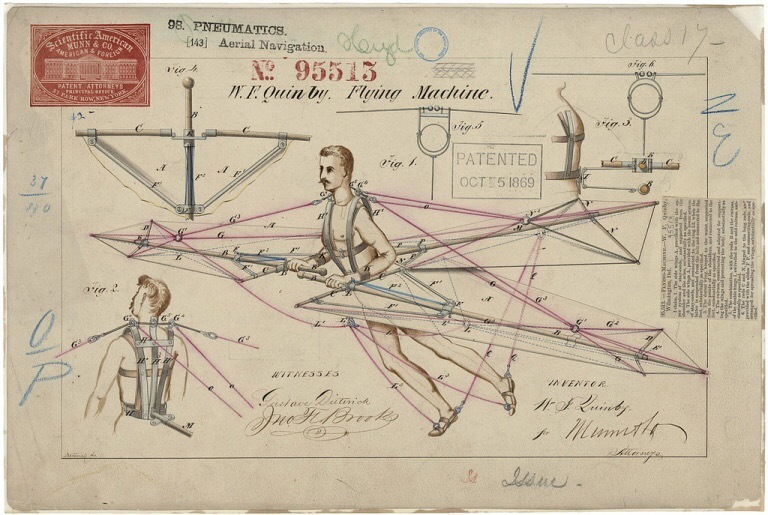 These are just a few of the patents I found that I discovered. 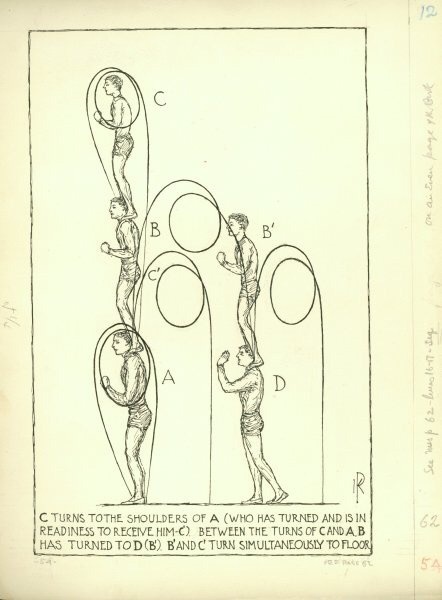 How to perform an acrobatic jump, how to loop-the-loop on a double bicycle for looping-the-loop and an 1869 flying machine. I doubt much flying and more falling was done, in all these cases, but it made me wonder how many other amusing and bizzare patents (or ideas) there are out there. 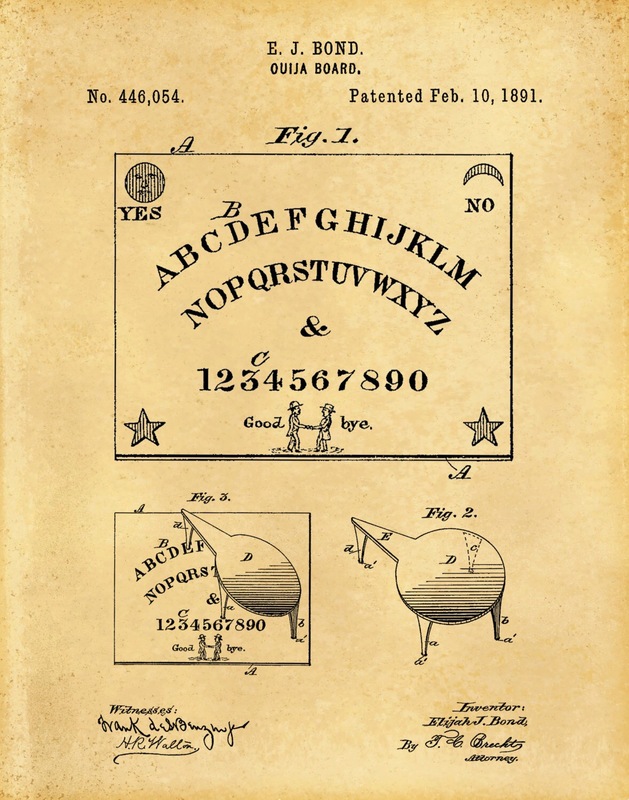 Oh and this patent for a game I played probably a bit too much when I was younger, Ouija.